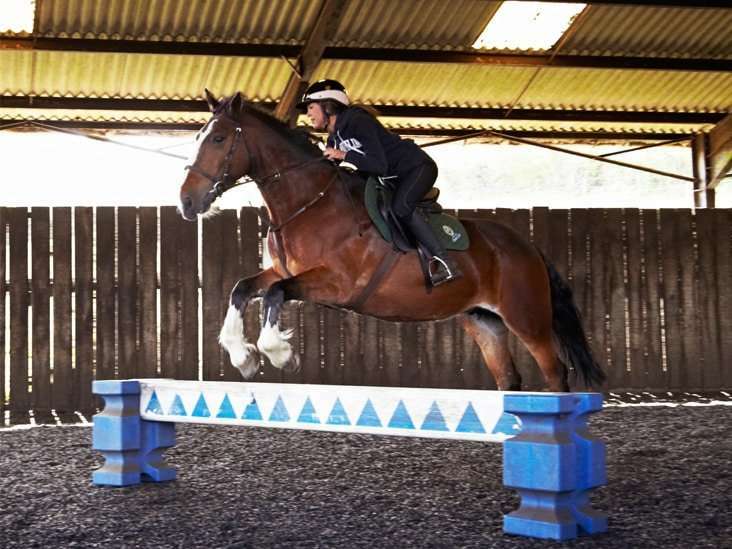 HBRS can offer the more advanced riders jumping lessons on request. Please see price list for supplement charges. 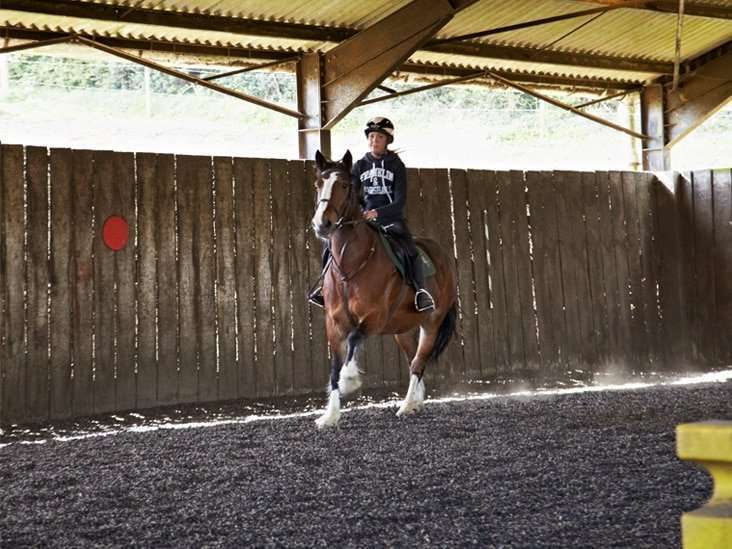 Jumping is an exciting part of horse riding and we are happy to teach those wishing to learn this discipline. You can learn the reasons behind why there are different styles of jumps and how to tackle each one, we have a selection to work with. Several of our horses love the opportunity to pop over a cross pole and are always ready to take part in a jumping lesson. However, we do restrict our jumping height. 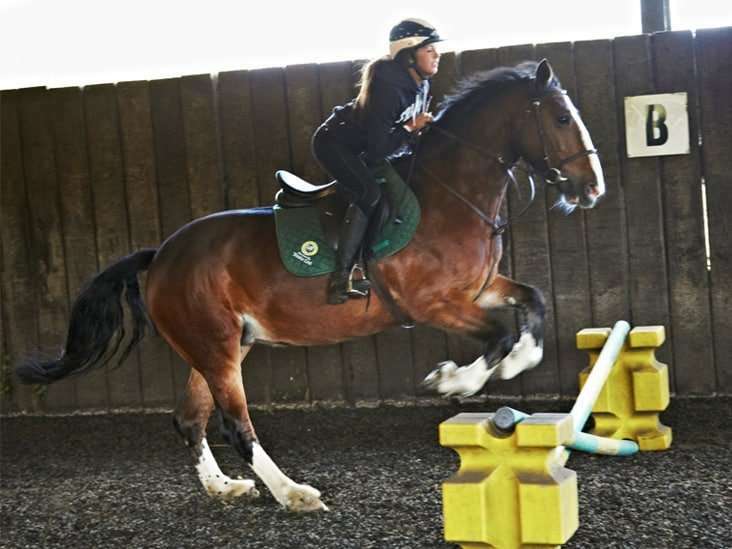 Jumping is an activity that takes its toll on horse’s joints and as all our equine team are extremely hard working and much loved we limit this activity in order to minimise potential wear and tear or injury to our four legged colleagues.